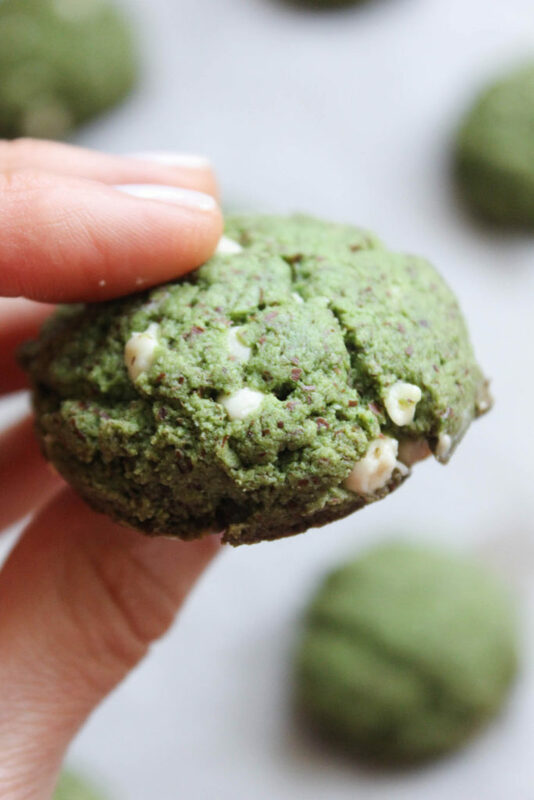 White Chocolate Mint Matcha Cookies. Vegan. GF. 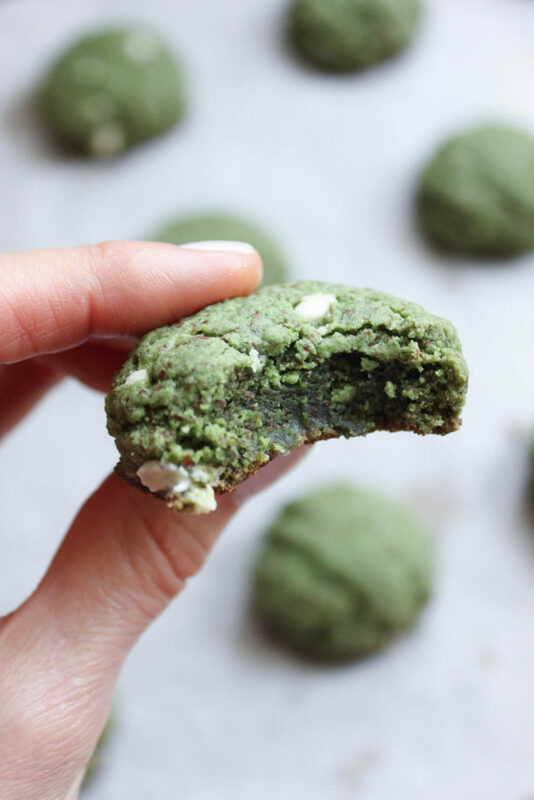 Because I’m in the mood to delay baking my Easter cake (I really don’t like cakes), I thought I would search the internet for a good matcha cookie recipe for Bill. I found this recipe and morphed to work for us & they turned out heavenly! So you’ve seen matcha lattes and matcha tea but I love matcha in shakes (think mint chocolate matcha) or in baked goods. A bit ago I made these and they are still my fave. Matcha is known for its health benefits. 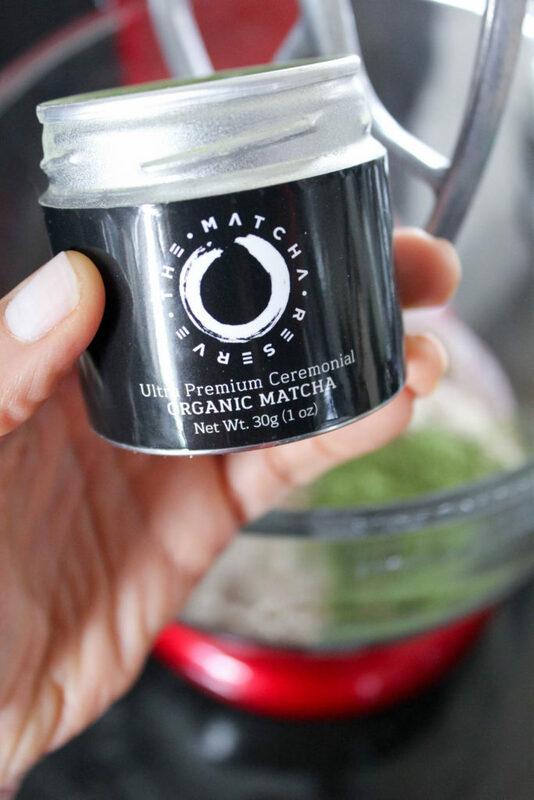 Packed with antioxidants, boosts memory, matcha has been known to boost metabolism (yea, hello!) and promotes overall health. If you aren’t a fan of matcha tea – try it in baked or cooked items. It’s so good! Preheat the oven to 350F and line a baking sheet with parchment paper or a silicone baking mat. In a large bowl or using a stand mixer with paddle attached, add all of your ingredients through acv and blend. By hand, blend in your chocolate chips. Using a small scoop, scoop out your dough and add it to your prepared pan. Flatten each cookie with your palm. Bake for 9-10 minutes or until golden around the edges. Allow to cool completely then enjoy! I did bake a minute more than I would’ve preferred but puppies outside required my attention truth be told. 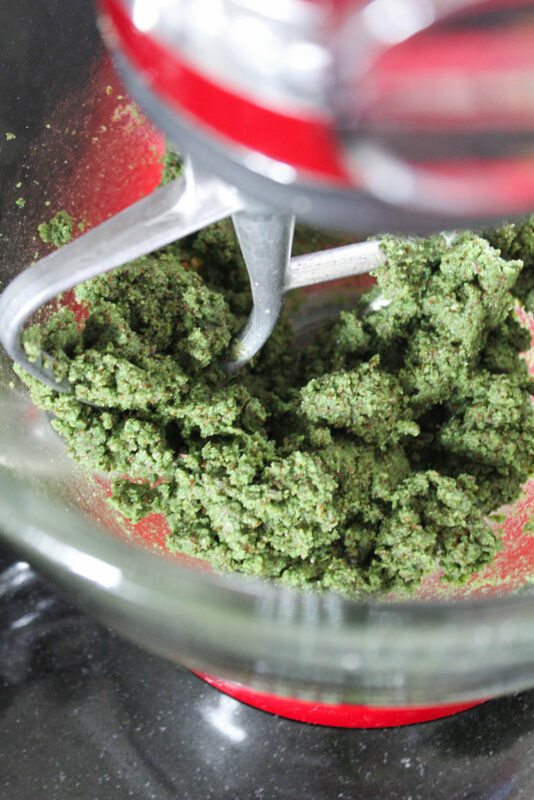 I use a considerable amount of mint extract but I felt that the cookies needed a good punch of mint flavor. It is far from overwhelming but start out using 1/2 tsp if you’re sensitive. Today was a combo deal of weights and cardio. 1h 30m session was just what I needed! I focused on shoulders and triceps today and then hit up the elliptical.